Welcome to the On-Line Redline Guide! 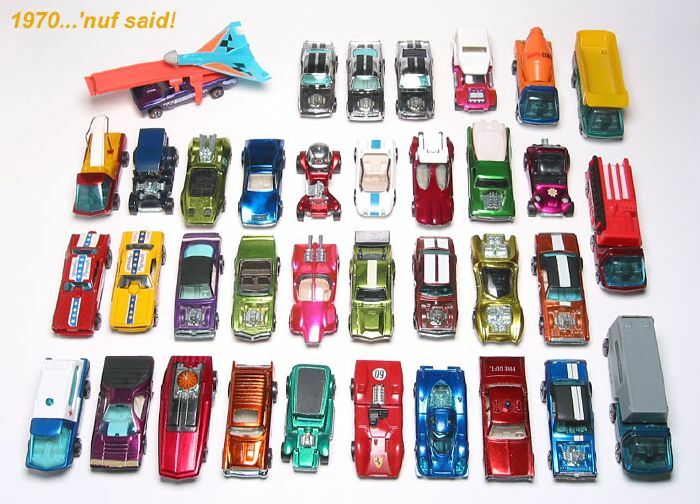 and accurate information on redline Hot Wheels anywhere on the web. 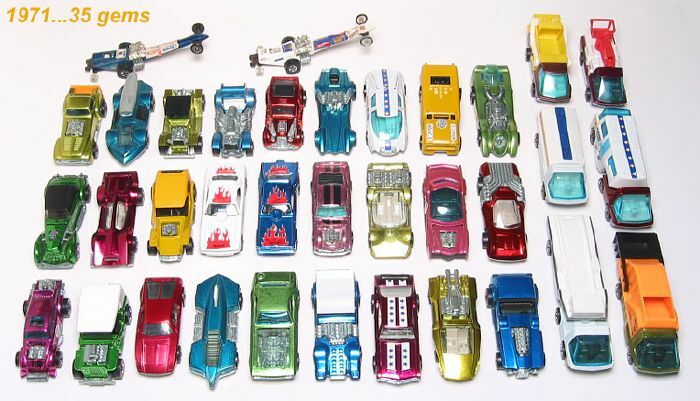 A "Redline" Hot Wheels car is one that was manufactured within the first ten years of production, 1968 to 1977. The term "redline" derives from the fact that, during that period, the cars were manufactured with a red stripe on the tire. 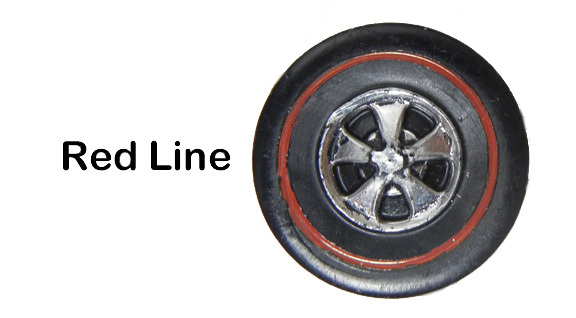 Although there were a number of different wheels types and sizes, almost ALL cars made during the redline era have red striped wheels. However, simply having a red striped wheel does NOT guarantee that a car is a true redline. In 1978, the red stripe was abandoned and cars made after 1977 are commonly known as "Basic Wheel" or "Blackwalls". In 1993, the red striped wheels returned to the product line on the "Vintage" reproductions of the original red lines and have been used intermittently since then. So, the red striped wheel alone, is not a conclusive way to confirm a true redline. During the red line years, the cars were sold worldwide but were only manufactured in two places, the US or Hong Kong. If the chassis of the car identifies the "country of origin" as anything other than US or Hong Kong, then it is NOT a true redline. Therefore, if the car HAS red striped wheels AND was made in the US or Hong Kong, then it is a true Redline! Once you know that you have a redline, use this guide to learn more about it. 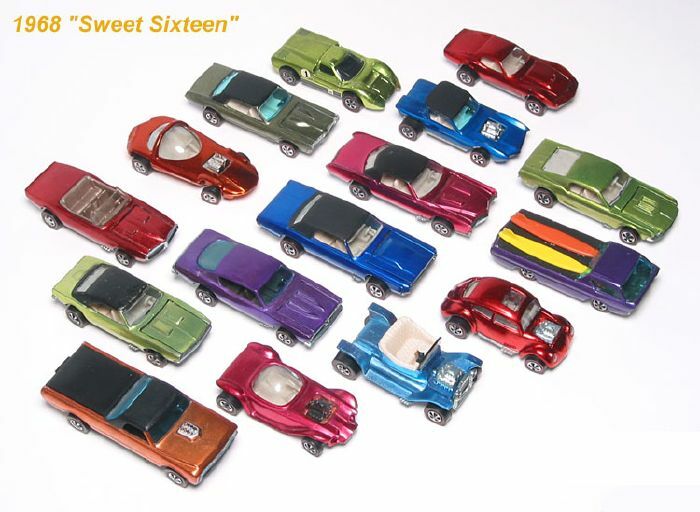 "How old is my Hot Wheels car?" 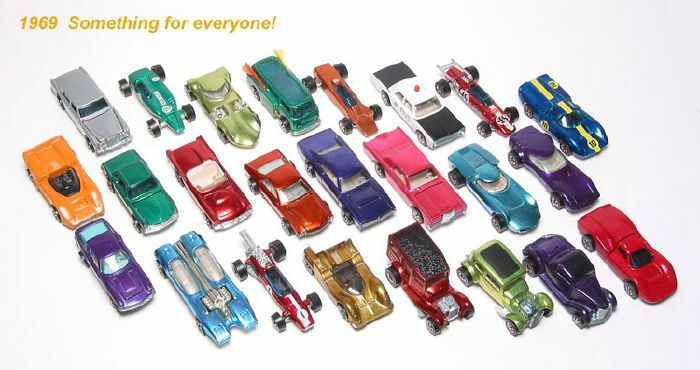 Almost every Hot Wheels car made has a "year" engraved into the base. 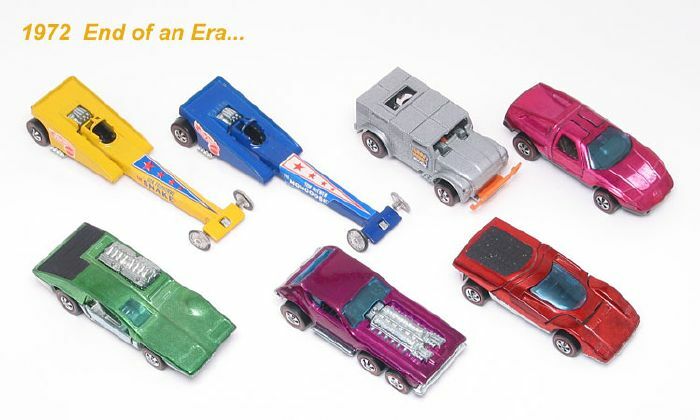 This date is the year in which Mattel filed the COPYRIGHT for the name of the car and the design of the car. The date is NOT the year it was made. 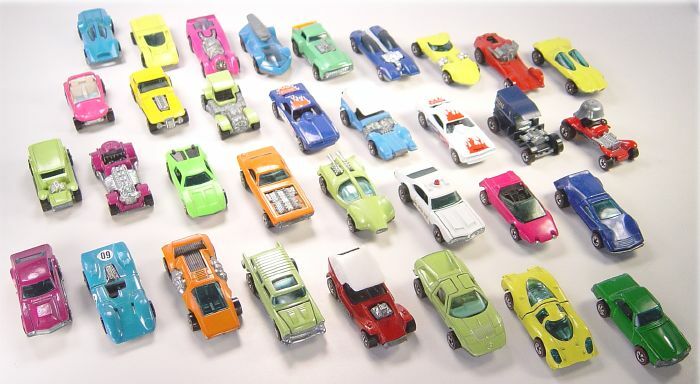 Typically, the cars were copyrighted in the year prior to first release for sale, but many castings have been in production for over 30 years. Thus, the date has no relevance to the age of the car other than the car can be no older than the copyright date. Below are photos which summarize the production from each of the ten years of the Red Line Era. Click on the photo or the year to get details on each casting. Or use one of these quick links! Non-profit, non-commercial publication of original images is allowed only with prior expressed written consent from Graymatters. © 2016 by Graymatters. All Rights Reserved.